For the final week of BM # 20, I decided to do Low Cal/Low Fat Breakfast dishes. How far the recipes that I am going to share fall under Low cal, is to be seen, however those are low Fat for sure. 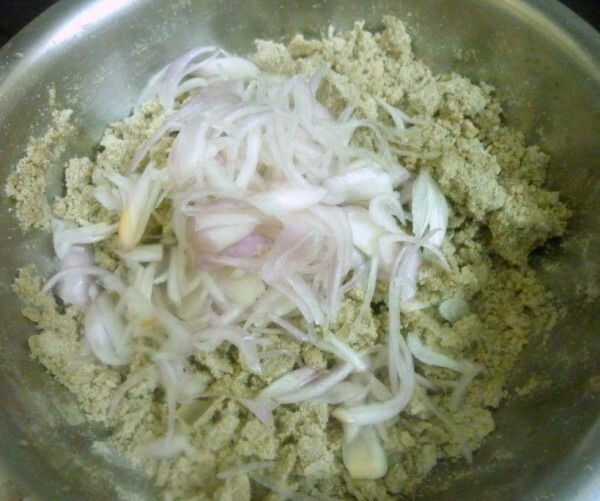 Bajra, Jowar and Ragi flours frequently in our regular cooking at our home. Needless to say, Athamma rolls out some mean rotis that convert to an art on it’s own. 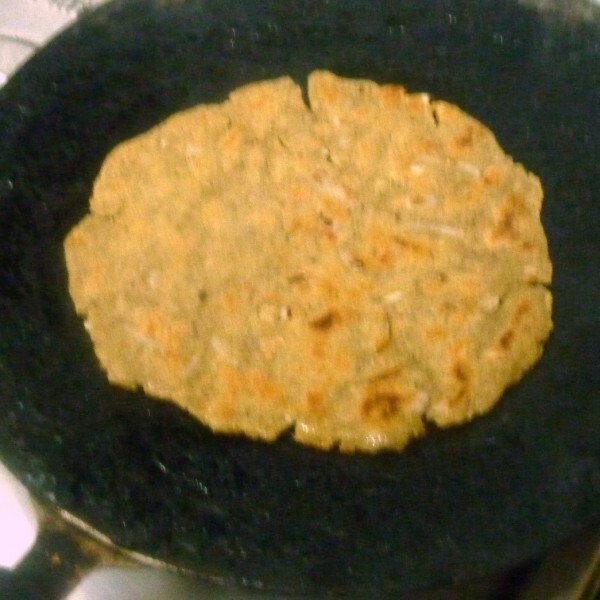 I remember Amma making these rotis years back, it’s kind of taken a back step offlate. Still with Athamma it’s a regular one. So it wasn’t a challenge when I said I had to do a Bajra Aloo ke Roti for Indian Cooking challenge. She made those in a breeze. Let me just say I made these very differently and can surely fall under the challenge tag. 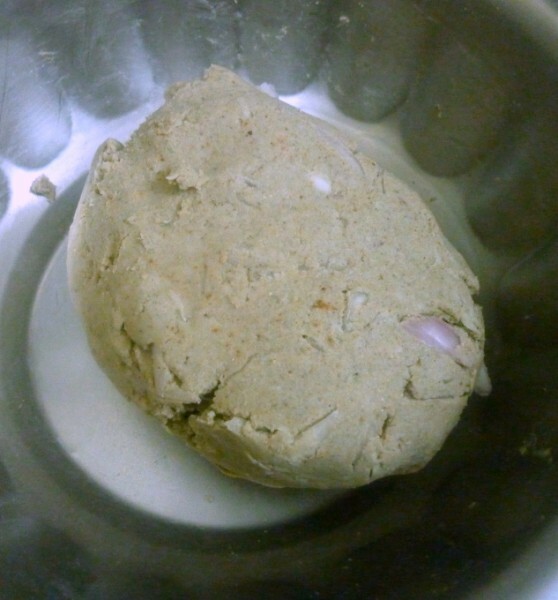 Though Bajra rotis are famous in Andhra, the ingredients used are different and you can attribute those different spices to the unique taste these rotis had in the end. Trust me, these disappeared before I could even say click! For the Indian Cooking Challenge last month I had given two Indian Breads. This one saved up for making for BM. Can you believe that I was clueless when I tried thinking what I should make for Low Fat/Low Cal recipes? As such our breakfast is mostly Idli, Dosa or Ven pongal and poori featuring on a day. How I can make these any less Low Fat or Low Cal than these. Unless you think I should serve Oats to Hubby dear, who has this cynical look that says, what Oats?? Anyway looking at the Oats recipes I had, there wasn’t much I could do differently. Microwave potatoes for 8 mins and soak in water before removing the outer skin. 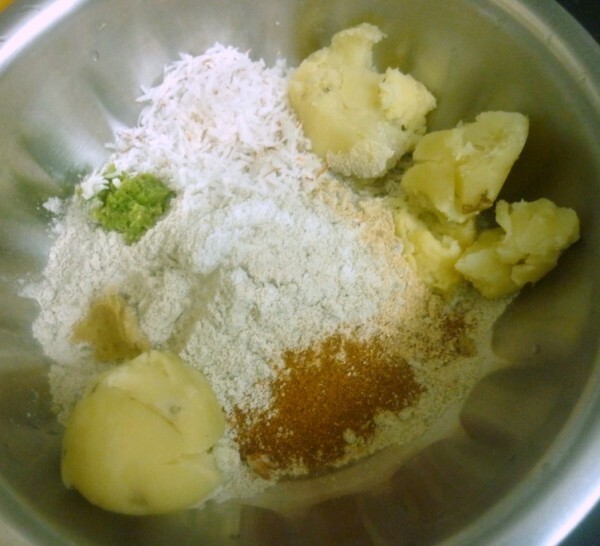 Combine all the ingredients to make a soft dough, using warm water. 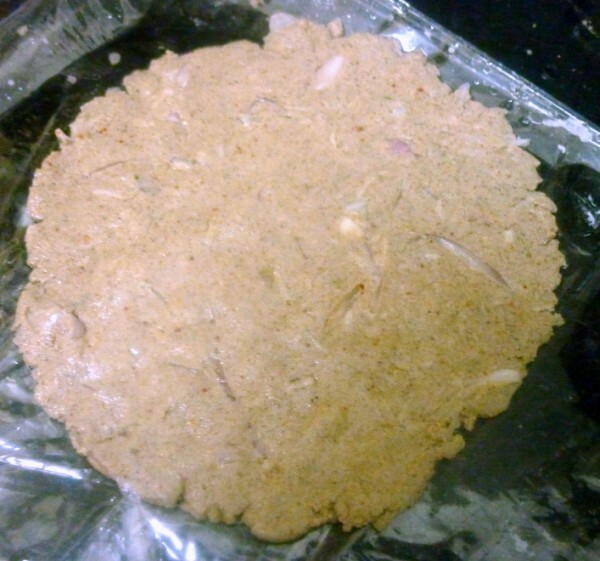 Divide the dough into 6 equal portions and pat down each portion into a round circle as thin as you can. 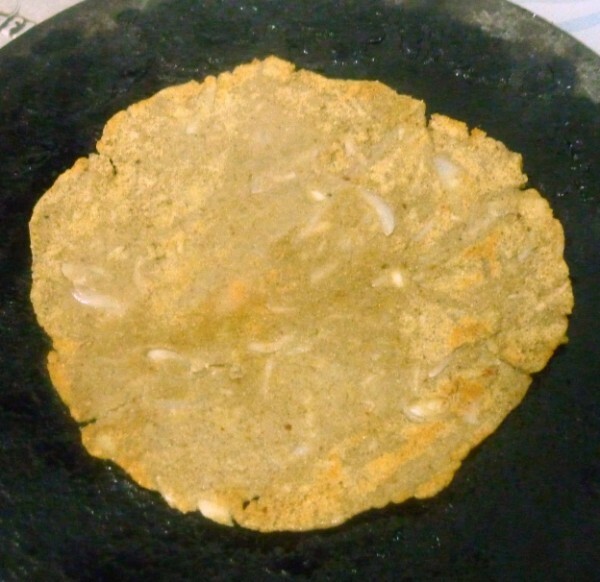 Cook the rotis on a hot tava (griddle) using a little ghee, until both sides are golden brown. These rotis were rolled out by Athamma with her expert skills in simply patting the dough between her hands. 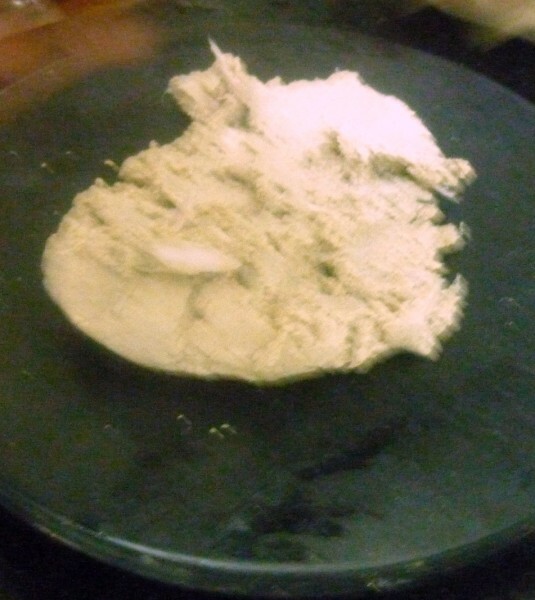 You can refer these Jonna Rotis to see the other method she can roll these. 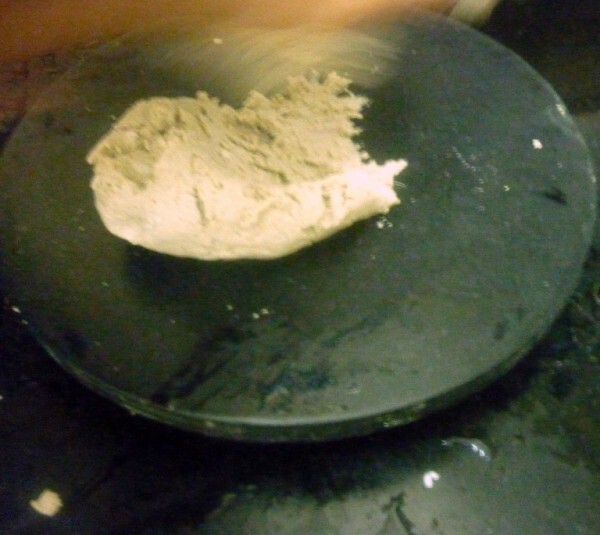 For novice bread makers, you can gently roll out with greased hands to thin discs and take care in cooking them. Looks like a very healthy breakfast option! 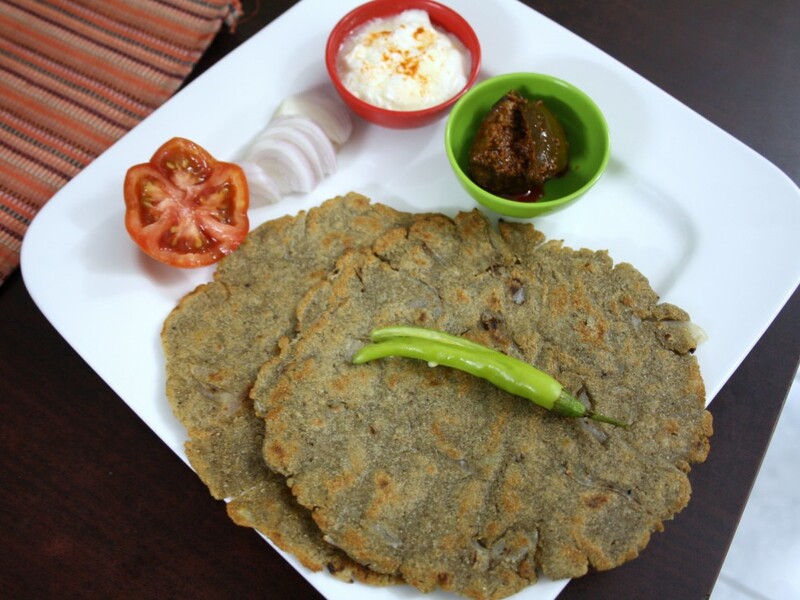 Nice and crispy bajra rotis..
very interesting n healthy rotis…we used to make a similar roti with ragi flour but without potatoes…adding potatoes is a nice idea n gives softness to the rotis n nice taste too…will try it soon! Looks perfect!!! and so homey!! 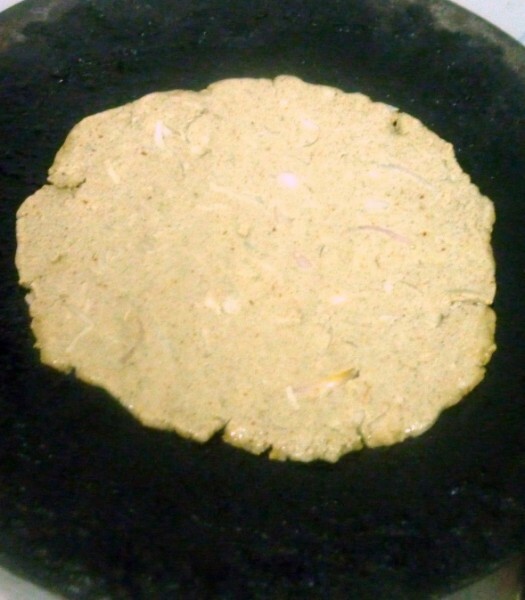 How healthy and nutritious this rotis na, unfortunately dont have bajra flour rite now,will make it soon. 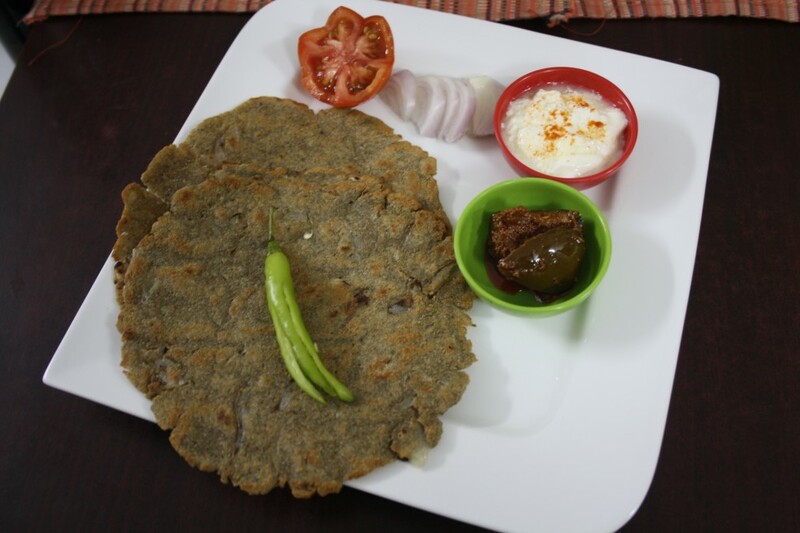 Healthy rotis. 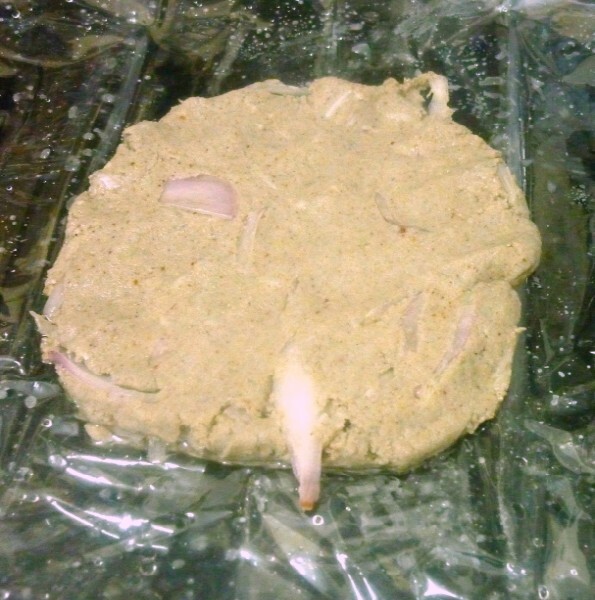 Am yet to try pearl millet. wow this is healthy and delicious. 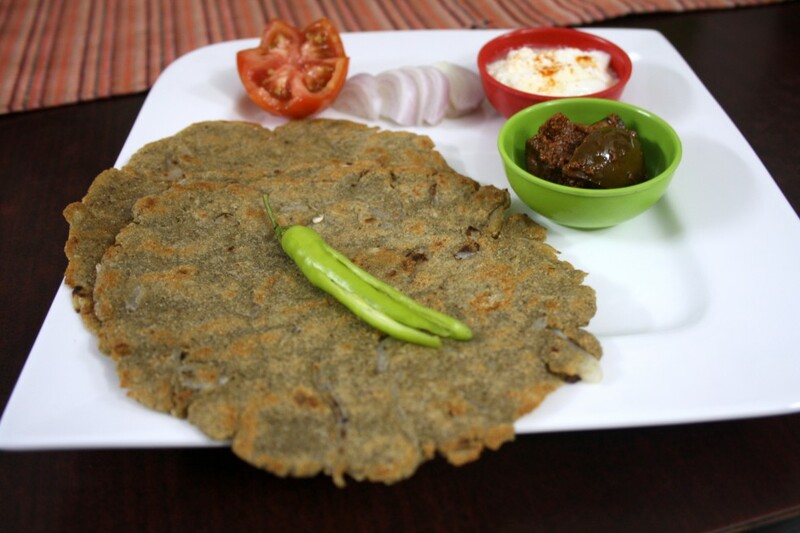 Roti looks wonderful Valli..Such a healthy option. I remember making it for ICC and it was awesome. They look so good Valli.